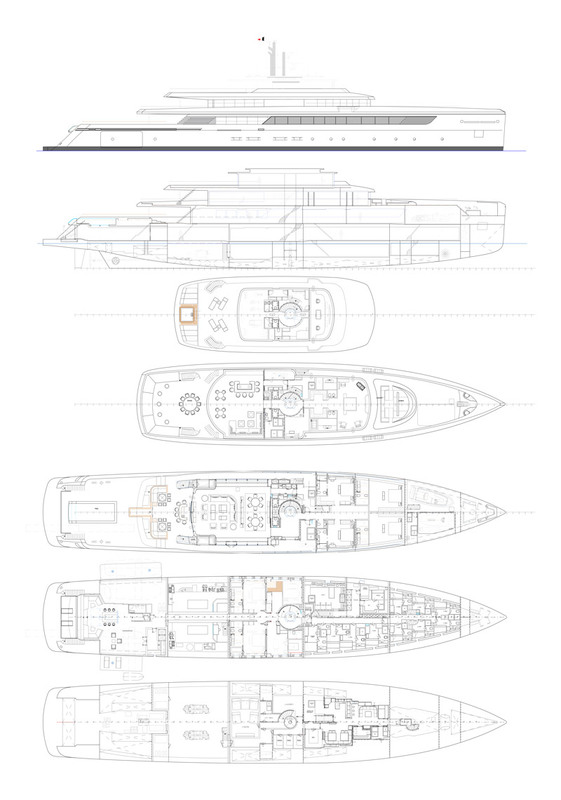 Again based on the naval platform of M/Y Grace E (now Nautilus), the High Profile version offers higher volume and more guest cabins, with two on the lower deck, four VIPs on the main deck, and an upper deck entirely dedicated to the owner’s private use with a forward-facing suite. Remarkably, the extra deck level has been added without losing the graceful exterior lines of the Low Profile model. Crew Cabins 10 (19 crew) + 1 Capt.